©2013 Joshua D. Greene (P)2013 Brilliance Audio, all rights reserved. Excerpt from “My Favorite Things,” music by Richard Rodgers and lyrics by Oscar Hammerstein II. © 1959 by Richard Rodgers and Oscar Hammerstein II. Copyright renewed. Williamson Music owner of publication and allied rights throughout the world. International copyright secured. All rights reserved. Used by permission. study in the grounds--both reasonable and unreasonable, beneficial and destructive--that we have for gathering together into groups...which seem to end up somehow inevitably pitted against some "other." Cliques, clubs, organizations, political parties, cults, class-systems, and...teams. I have a story that relates very well to this book. I live near Seattle. "WE" (the Seahawks--I don't play, mind you, and I don't even watch, though I find myself included somehow) are playing the Broncos (hereafter "THEM") in the Superbowl next week. Some years ago, I bought a Broncos hat to wear to the barn when I interact with my horse--I hate football, and I bought the hat because it has a horse on it. (Witness my avatar photo above.) I have grown attached to the hat. I have also been threatened and taunted by Seahawks fan-atic-s for wearing it in public, and greeted heartily by strangers in stores from Denver who mistake me for a fellow Colorado "WE..." At present, I continue to wear the hat to the barn, but not if I need to run into the store afterward. And, if the Seahawks win on Sunday, I think maybe I will be able to wear it publicly in say, a year or so...if the Broncos win...I will never be safe wearing it again. (I had a student once actually physically assaulted for wearing a NY Yankees cap into a Seattle bar.) All this has made me aware of one thing: Nazi Germany is easy to understand once you get this element of human nature: we too often need someone to hate in order to feel decently about ourselves. The Nazis had the same mentality as football fanatics--or any other group fanatic. They just had a lot more freedom to persecute the "THEM." What did you love best about Moral Tribes? I have read tens of philosophy books, but this is the one that made me feel the most enlightened after reading it. It helped clear away the cosy rationalizations of tribal moralities that I self-righteously indulge in, like every one else, and it does not claim to replace those by another absolute moral truth. At the same time, after demonstrating the hopeless relativity of moral emotions, Joshua Greene does fully acknowledge their worth as an "automatic mode". A scientific understanding of the dual processes at work in moral decision-making leads to a reappraisal of the much-maligned utilitatrian viewpoint as the only realistic inter-tribal "moral common currency"
The little fable told at the beginning is nice, but you definitely shoul reread it after completing the book. This is a book you have to think over, I read it twice and will certainly read it again. This book connects loose ends from all disciplines into a coherent whole. It is hugely important that the ideas in this book become disseminated throughout all cultures. I'm happy that it exists. Very interesting treatise. Thought provoking but a better textbook than a general audience read. Having some philosophical context helps tremendously. Moral conflict and ideological division may be one of the most serious problems facing the world today. Joshua Greene, renowned philosopher and neuroscientist, doesn't present any magic bullets to address this problem, but he does offer what may be the only solution, something he calls "deep pragmatism." Deep pragmatism is essentially utilitarianism dressed up in fashionable clothing, but Greene makes a compelling case that this way of thinking may be the only "common currency" that can be used between competing moral tribes in the modern world. Greene peers under the hood to reveal how our evolved mental machinery guides our moral judgments, and the picture he presents is not flattering. Our moral cognitive mechanisms are "gadgets" honed by natural selection. Their function is not to glimpse an eternal "moral truth," but rather to propagate the genetic material that constructed them. These gadgets come pre-installed with glitches and shortcomings, and one thing is certain: they were not built to handle complex modern dilemmas like global warming, effective governance, and criminal justice. 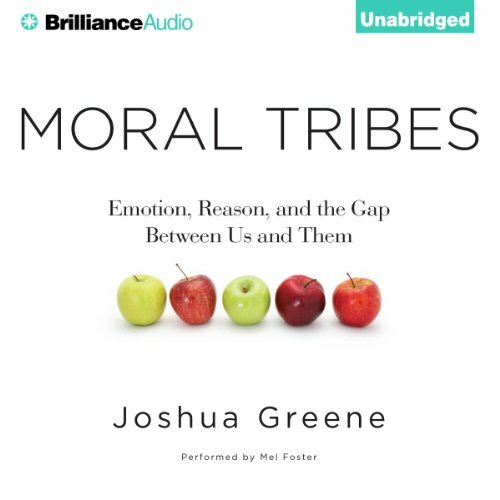 Thus, Greene argues, if we want to transcend the boundaries of our moral tribes, we must learn to transcend this "automatic" moral machinery and shift to "manual mode," the parts of our brain that can set goals, evaluate evidence, and think rationally. It's not easy to look with suspicion at our deep seated moral intuitions, but Greene makes a convincing case that we should. We must construct our political and moral worldviews not on gut feelings but on reason and evidence. Packed with fascinating facts from psychology, neuroscience, and evolutionary biology, you'll learn all the cutting-edge information from the emerging field of moral cognitive science. And your vision of morality might get turned upside down. Greene really does a piss poor job of summarizing arguments against his position. he also does a poor job framing other philosophical positions that run counter to his. He says that "When we refer to rights, we are only referring to names we have given our moral intuitions" then goes on to invoke his own concept of 'rights' as if no one else has thought this out. Worst of all is his take on politics. I say this as a socially liberal person with an otherwise pragmatist view. Greene is totally unfair in his characterization of the political left and right. He equates all conservatives with republican Christian fundamentalists. He thinks every view they hold is based on 'unexamined tribal intuitions' while characterizing liberals as a scientifically enlightened paragon of humility. 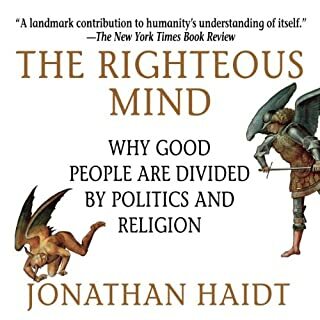 Read The Righteous Mind by Jonathan Haidt if you want to understand the neuroscience and psychology of the moral sense. 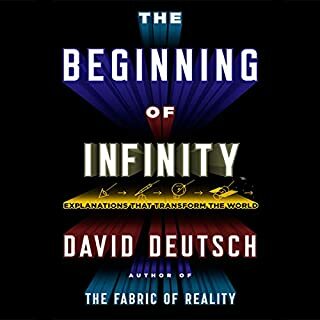 Even though almost all of the books and science experiments cited within the text I have heard elsewhere through other Audible books and lectures, I still found this book edifying since the author, a philosopher, knows how to explain complicated science better than most science writers by explaining complex thoughts into easy digestible pieces and can tie the story together with an overriding narrative. All knowledge about our place in the universe goes from the particular to the group and the group to the population. As for the development of our moral understanding the author argues similarly our moral understanding goes from "the me" to "the us" and "the us" to "the other". Homo Sapiens developed a method to get us out of our pure solipsism by allowing us to understand there is an advantage in cooperation within our closest group and that there will be competition between the us and the them. The author's main thesis in the book is defending Utilitarian philosophy (or as he sometimes calls it deep pragmatism), a system of philosophy which starts with the premise the overall happiness should be maximized. He uses the 'trolley problem' and breaks it down and shows how some of our brain states correlate with his thesis of 'automatic mode' verse 'manual mode', intuition v. reason. I'm in the minority in the trolley problem. I never would have turned the switch in the first version, and I definitely would not drop the man onto the tracks to save lives in the second version. That made some of the givens the author gives not so clear cut for me. Overall I am an Utilitarian (after all I'm in general for anything which Ayn Rand despised as much as she did Utilitarianism), but the author really doesn't end the argument. Ultimately he's begging the question in how he defines happiness. I think that almost everyone thinks that their belief system leads to the greatest happiness overall. We always rationalize (at least I do) our beliefs that way. Adolph Hitler rationalized his acts and claimed that the world would thank him for what he did. It's the rare person who wants to create harm overall just for the sake of creating harm. We always rationalize and fill in the blanks within our own mind (the author will even say that in the text and cite some research that supports that). This book is a real find for anyone who hasn't read much in this field. He links all the science with multiple philosophies and gives a great narrative like a good philosopher should. I think the author always tries to be fair when he dances around political differences. But, he did one thing that really irritated me. He calls those who deny the truth about climate change "climate skeptics'. That's just a misuse of the word 'skeptic'. Skeptics will keep an open mind and look at the data and the story that abduction (inference to the best explanation) tells. People who don't accept climate change do not deserve the respect the word 'skeptic' connotes. 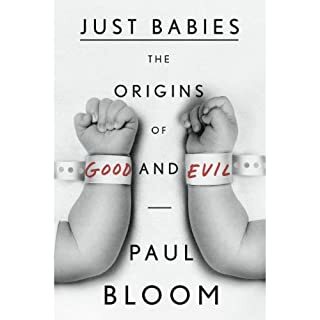 In summary, the book is a very good book, well explained, good science and provides a good way to think about morality through the lens of Jeremy Bentham and John Stuart Mills. I don't think he proves utilitarianism is the ultimate philosophy but he gives good arguments while it might be the best overall. 4.5 stars. 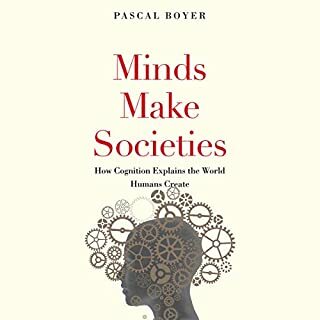 A provocative synthesis of human history, neurology and cognitive sciences, concepts of morality, and evolutionary psychology in an attempt to forge a modern, shared basis for morality. Dr. Greene ably lays the groundwork for some of the philosophical quandries related to "tragedy of the commons" scenario, as well as the scientific research on human behavior in relation to fairness. He disucsses the evolutionary bases for selfishness, as well as how we evolved to interact in "me versus us" scenarios and "us versus them" scenarios. Having laid this foundation, he makes arguments for using a form of utilitarianism as the most favorable framework for societies that are comprised of diverse sub-groups who don't share a single worldview. His arguments are likely more or less convincing depending on your own personal feelings. But regardless, he makes compelling points about how our default/automatic mental settings in "us versus them" situations poorly serve us, and that we are capable of backing up and putting our mental processes on manual. That our knee-jerk reactions are often traceable to evolutionary pressures, but not always necessary now and actually counterproductive to the societies we live in. He never makes his prescription sound easy, but he does make it sound worth considering. He includes vignettes on more effective ways to get people to disengage from their automatic settings (read: the gut feeling reactions to complex issues) and refocus on larger pictures or simply self-evaluate and realize they know less than they thought about a process or proposal (which in turn has been shown to lead to softening of positions and less polarized feelings). Some of these suggestions are especially apt now. 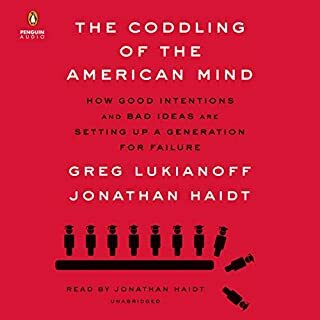 While the author clearly comes at this from a more traditionally liberal or libertarian stance, he points out shortcomings on both sides. Sadly, while his prescription for a lessening of our "us versus them" symptoms is promising, the ability to get people to back away from entrenched positions makes it unlikely to be put into action. Another interesting look at the science behind our moral thinking. It is similar to the Righteous Brain , in fact he references the other work. He has some disagreements with the other author. One problem with human research is there is no ethical way to kill off sections of the brain and do before and after studies, for an example. That means our proof has to be more indirect. This book seems to two main aims, one is to describe the moral mechanisms and prove how they work, and to then describe a meta-morality and philosophy that we can all agree to. I wasn't swayed by his philosophical arguments. I think he went too far, perhaps. It is interesting to ponder, if he's right and what the implications may be. He would agree that there is a laudable to expand the human sense of "us" more broadly. I would say the book was thought provoking. 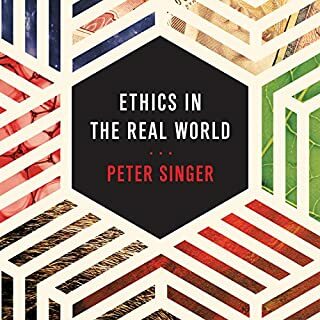 If picking apart the internal mechanisms to describe and understand our moral leanings sounds interesting then this book should suite you well. At a time when the moral convictions of many groups are coming together, sometimes in confusing or confrontational ways, the explanations of this pointedly critical author added some welcomed understanding and direction on what to make of my beliefs. The balance between philosophy and practical application was also nice.